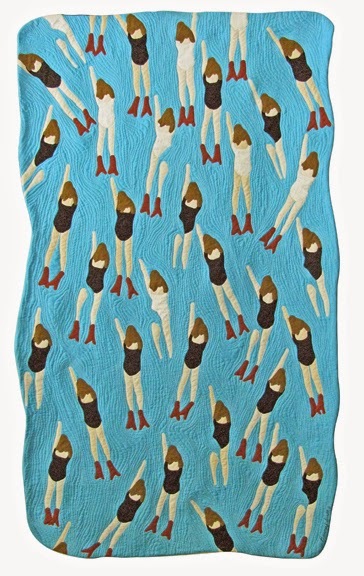 My fiber art work "Upward and Onward" 65h x 35w is featured in the June/July issue of Quilting Arts Magazine. The article featured is about SAQA Celebrating Silver exhibit of which I was chosen to create an art work for this momentous celebration of their 25th Anniversary! 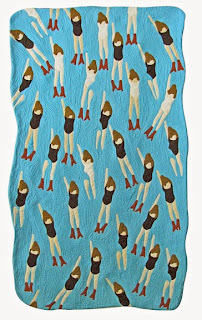 The textile is for sale at $1,900.00. This work would look great as a center piece of a room or would make a great gift to donate to a hospital or any type of center that has lots of people walking by as this is definitely a spirit lifter. Women's Caucus for Art has a new exhibit at Twin Pines Gallery, Belmont California. This is a interesting exhibit in that the artist are hanging two pieces of art work next to each other that have either a similarity, story or might be derived from the same inspiration. 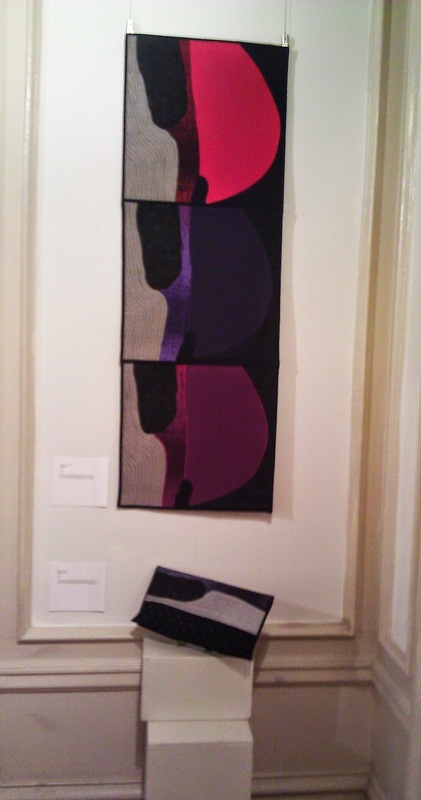 My work "Terrain" and one of my original designed opera purses were created using my award winning design "Images". Seems so long ago that I created "Images" from looking at aerial views of the Bay Area of Northern California. 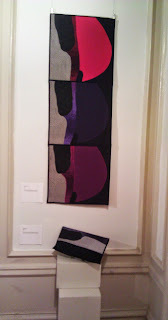 Below is a picture of my work hanging in the gallery.